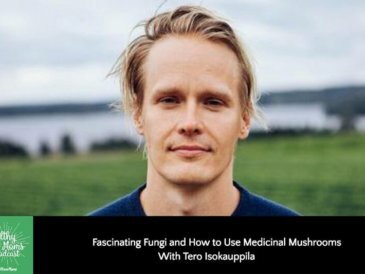 I’ve talked about the health benefits of medicinal mushrooms in the past and I must admit I’m becoming a pretty big fan. These superfoods are catching on the US (just check the shelf at any health food store). One of my favorites is chaga mushrooms, and despite the short name, the list of health benefits they contain goes on forever! Chaga mushrooms are also known as the “gift from God,” “king of herbs,” and “king of medicinal mushrooms.” They grow primarily on birch trees in cooler climates like Russia, Northern Europe, and the Northern US and Canada. Russia, Siberia, and other parts of Asia have used medicinal mushrooms for centuries. The chaga mushroom looks like burnt charcoal or a lump of lava on the outside. On the inside, these mushrooms have a rusty color that you can see when you break it into pieces. 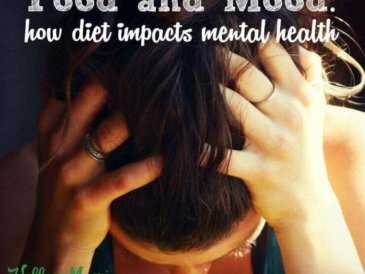 What’s more, modern science is confirming these benefits. As interest grows it’s now easier than ever to find chaga in the form of supplements, powders, and elixirs… not to mention my preferred way to take it, coffee! If that’s not enough, chaga also contains polysaccharides (mostly beta-glucans) which help balance immune system response and can help fight cancer (more on that below). As we age, our bodies need more antioxidants to protect our DNA from damage. Chaga is one easy way to get more in your diet. Last but not least, these mushrooms have the highest amount of antioxidants per gram of any plant. This is important since free radicals and oxidative stress in the body can cause health issues such as heart disease, diabetes, and even cancer. Chaga is well known as an herb that supports the immune system. But how does it work? The polysaccharides in chaga mushrooms are “biological response modulators.” That means they are able to boost or suppress the immune system, whichever the organism needs. 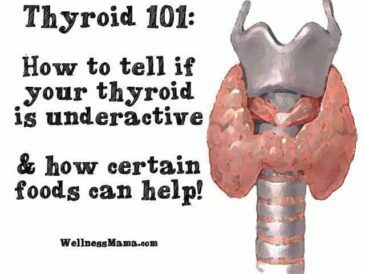 This is particularly helpful in those who have autoimmune disease, since stimulating the immune system when it’s already overreacting may cause more issues. Research published in Mycobiology also found that consuming chaga increases production of immune cells such as T-cells in animal studies. Further, a 2005 review (including human studies) found that chaga mushrooms are a potent immune booster without negative side effects. It also confirmed chaga can reduce inflammation, improve immune cell production, and enhance overall immune function. The effect that chaga has on tumors is profound. One 2016 study found that tumors shrank by 60 percent when using chaga extract on mice. In metastatic mice (mice with tumors that moved from their original location to other locations in the body), tumors shrank by 25 percent. One role of the immune system is to fight against viruses. Improving the immune system can improve the body’s ability to fight these viruses. With these studies, it wouldn’t be unreasonable to think chaga could be a good general antiviral treatment. More research is needed to know for sure, but it’s a promising possibility. As chaga mushrooms grow, they absorb a compound called betulin from the birch tree. This is helpful because betulin is indigestible when it comes from the birch tree directly. The mushroom converts it to a digestible form. Research shows that betulin lowers cholesterol, helps prevent obesity, and improves insulin sensitivity in mice. In fact, researchers discovered that betulin was as effective or more effective than cholesterol-lowering drugs. In addition, the antioxidant properties discussed earlier can have a positive effect on heart health, including supporting a healthy blood pressure. Chaga may improve endurance and strength. Russians have been using it for centuries to boost strength and endurance (especially during the cold months). 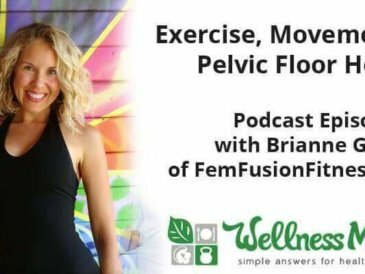 But there’s not much concrete evidence as to why it might help with strength and endurance. A 2015 animal study in the Journal of Chinese Medicine did find mice given chaga were able to swim longer. The theory is that the mushroom improved glycogen (stored energy) levels and reduced lactic acid (a by-product of strenuous exercise). So, with all these great benefits, how do you get this unusual mushroom in your diet? 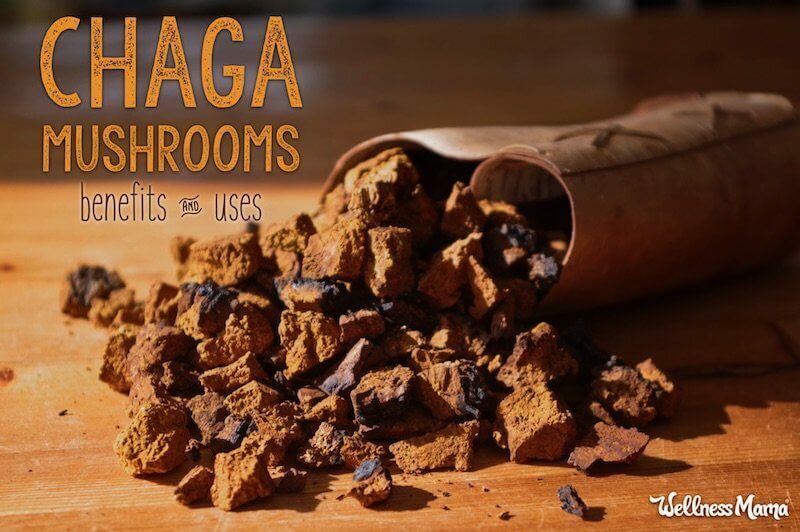 You can also make your own chaga tea or tincture at home using whole chaga chunks. The advantage with this approach is you can use use the mushroom pieces again and again to make more batches of tea, and even freeze them for the most potency between uses. The tea will just be a little weaker with each use. Check out this tutorial for step-by-step instructions. Chaga may not be great for those with autoimmune disease because it boosts the immune system. However, as noted earlier, it is an immune modulator so would lower an immune response in this case. As always, discuss with your doctor whether taking chaga mushrooms is right for you (especially if you are pregnant or breastfeeding or have any underlying health issues). Research on the benefits of chaga mushrooms is still relatively new, but what we know so far is already very promising. I think it’s always interesting to see when modern science upholds ancient wisdom, and this seems to be a good case! 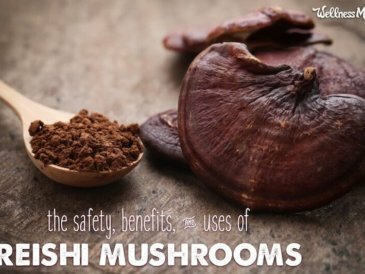 Reishi – Science shows it boosts immunity and it may even help you live longer! I’ll be writing more about all of these soon! 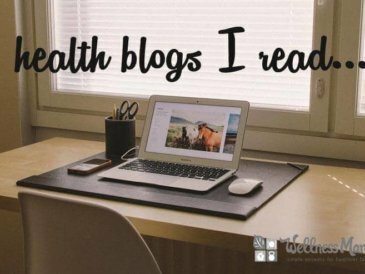 Have you tried chaga or other medicinal mushrooms? What did you use it for and how did it work for you? Park YK, Lee HB, Jeon EJ, Jung HS, Kang MH. Chaga mushroom extract inhibits oxidative DNA damage in human lymphocytes as assessed by comet assay. Biofactors. 2004;21(1-4):109-12. Lee SH, Hwang HS, Yun JW. Antitumor activity of water extract of a mushroom, Inonotus obliquus, against HT-29 human colon cancer cells. Phytother 2009;23(12):1784-9. Shibnev VA, Garaev TM, Finogenova MP, Kalnina LB, Nosik DN. [Antiviral activity of aqueous extracts of the birch fungus Inonotus obliquus on the human immunodeficiency virus]. Vopr Virusol. 2015;60(2):35-8. Polkovnikova MV, Nosik NN, Garaev TM, Kondrashina NG, Finogenova MP, Shibnev VA. [A study of the antiherpetic activity of the chaga mushroom (Inonotus obliquus) extracts in the Vero cells infected with the herpes simplex virus]. Vopr Virusol. 2014;59(2):45-8.